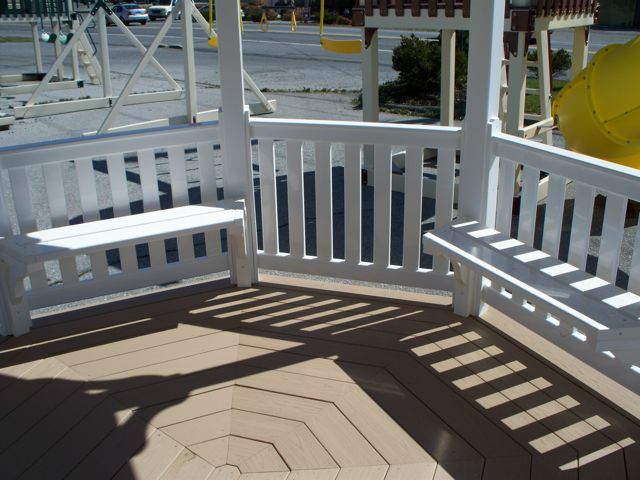 In Stock 10×16 Octagon Gazebo with Benches – Amish Built! –> Lovely Oval 10×16 Gazebo with 4 Benches – in stock and ready for immediate delivery. What a beautiful addition to your yard for sping and summer activities. We will deliver for FREE within 20 miles. Delivery fee beyond 20 miles applies. Great Gazebo Discount – 5% Off all Wood Gazebos Now! Introducing the GREAT GAZEBO DISCOUNT! Quality Amish Made Gazebos - Save 5% Now! We are offering a Summer Special on Wood Gazebos! SAVE 5% off of the Base Price of ANY STYLE, ANY SIZE Wood Gazebo for the month of June and July 2009! Payment must be made in full at the time of order. Discount is only reflected on Base Price of Gazebo — options, delivery, site prep or tax are not included in the sale. Discount cannot be combined with other discounts, promotions or coupons. Discount is for Wood gazebos only – not applicable with Vinyl Gazebo orders. Discount is for the months of June and July, 2009. There are a number of lovely Gazebo styles that you can choose from to receive this 5% Discount Price. 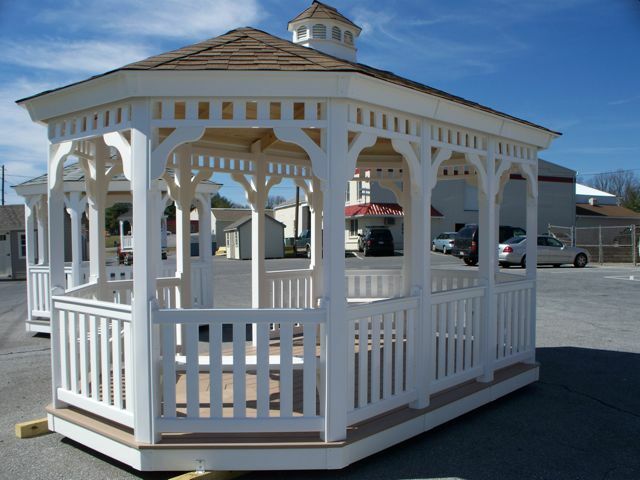 All of our Gazebos are made by a local Amish builder, and are made to order to meet your exact needs! We do not keep a lot of these Gazebos in stock because we know that folks like to order their specific size and style to blend nicely with their surroundings. Each Gazebo will be custom made For You! View our Gazebos on our website at www.FoxSheds.com . If ordering from the website, be sure to mention that you would like the 5% discount for us to apply it before finalizing the order. OR, call us directly to place your order on the phone with you at 717-626-9560. Adding Pergolas to the mix! cooperating very much lately. Even so, once the rain clouds disappear, orders start “pouring” in. It seems people are anxious to get out into the yard and de-clutter their garages by adding a backyard shed. We’re happy to oblige! Between rainstorms, we’ve been busy adding Pergolas to our inventory. These beauties come in sizes beginning at 8 x 8 and go up to 14 x 24. Our pergolas are all Amish made and are all built with pressure treated lumber. 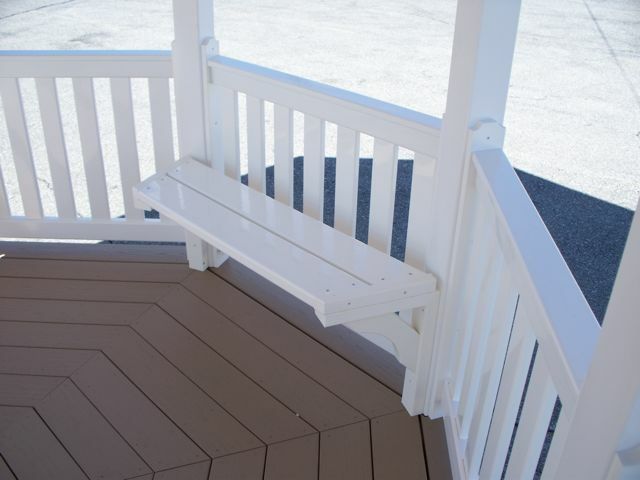 They can be ordered with clear sealer that brings out the beauty of the wood grain (as shown here on this in-stock 10×16 Pergola), or in a high quality white paint applied at the shop (as shown below). The standard pergola comes complete with a floor, so that you can enjoy it right on your grassy lawn without having to mow underneath it. Or, it can be ordered as a “kit” with or without a floor, so that you can install it wherever you’d like such as on a patio or deck. Our Pergolas are made by the same Amish builder that creates our beautiful Gazebos – so you know that you are getting the same excellent quality that we are known for. Visit us today at 537 E 28th Division Hwy in Lititz, PA – beautiful Lancaster County – or visit our website at http://www.FoxSheds.com to ask about our lovely Pergolas, Gazebos, garden Sheds, Garages and Poolhouses. Call us at 717-626-9560 for a quick answer to any questions or a shipping quote. We are eager to help!